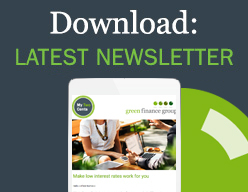 Finance, Financial Planning & Insurance – the Green Team have got you covered. Over the years I’ve worked for some of the country’s largest financiers, including Westpac and CBA, and have helped to grow hundreds of small to medium-sized businesses through the procurement of competitive commercial finance, investment and cash flow solutions. I offer commercial finance knowledge, experience and know-how gained from a career spanning more than 30 years. I’ve worked both for Big 4 banks and independently, and have a unique understanding of how banks ‘think’ and what business owners need.